We are now accepting resumes for Board of Directors! Resumes can be faxed to 209-477-5474 or emailed to apply@warfareministry.org. MA Liberal Arts, Doctorate of Theology. Previous Vocational Counselor; youth and adults with disabilities. CEO of Life Line Institute/Warfare Ministries Inc. Previous machine shop instructor for CA School of the Blind. Conducted family counseling for Mandela House for two years. Has worked 39 years in Industrial Management/Facilities Maintenance. Resides in Stockton, CA. Restaurant Owner/Cater for 20 plus years. Full-Time Deputy Probation Officer. BS - Business Administration, Minor in Real Estate Management, Cal State Hayward 1995. Previous Substitute Teacher, Oakland Unified School District, 1998. Mentor, Cal State Hayward 1993-1994. Licensed Realtor for 22 years. Notary Public. Previous volunteer for Habitat for Humanity. Member of National Associations of Realtors and California Associations of Realtors. Member of Delta Sigma Theta Sorority Inc. (A public service organization). Resides in Stockton, CA. She has been employed with HP for approximately 6 years. 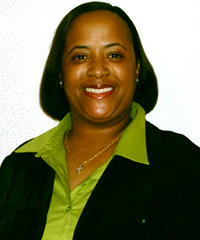 She attended California State University, Hayward where she received a Bachelors of Science in Business Administration; and she went on to further her education by receiving a Master's of Business Administration (MBA) from the University of Wisconsin-Madison. Miriam is an avid community advocate for the youth. She has been involved in a variety of volunteer programs which has had a significant impact on the lives of young people: Oregon Northwest Black Pioneers, Board Member, SMART Volunteer, PRIDE Volunteer, Mentor to college age women at OSU, PSU and U of O, Leave No Child Behind Workshop Volunteer, Former Majestic Theater Board Member (2003-2006). Employed at Delta Dental Plan of California (23 years) in the following positions: Public Relations Representative, Dental Auditor. Currently, an Audit Review Clerk. I attended the following institutions: California State University Hayward, and College of Alameda. I graduated with an Associate Science Degree in Dental Assisting, University of Phoenix. Financial Coordinator for Mt. Zion Church in Pittsburg, CA. Resides in El Dorado Hills, CA. 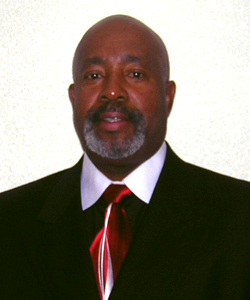 Dr. James Howard Payton Sr.